I have several apple trees on my property and ants (black?) will build a colony next to or close to them. The soil is fairly sandy and the hilled colonies are in direct sunlight. I have noted more and more colonies pop up every year in different areas of the yard. 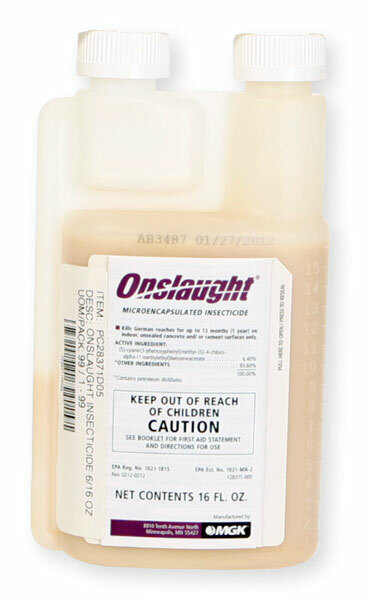 I have used Diamataceous Earth, Spectracide and now Onslaught on them (not all the same year). These ants are taking over and I want them gone. DE and Spectracide won't do much to control ants. Onslaught FastCap will kill them, but it's not going to have a transfer effect and will have little effect on the colony. If you are going the organic route, then the KM Ant Pro system is about the only choice. It's expensive, but it works long term and is what most of the commercial growers use in California, Texas and Florida to control ants. Depending on the species of ant, Award II may help to control the problem if they will feed on it. If not, then the Ant Pro system may be the only real solution. Overall, there is no simple cheap fix for ants that are in an orchard. Controlling them can be difficult and it takes an engineered solution in most cases. Not simply dumping powder or retail chemical on the mounds. Check out these products and if you have any questions, let me know.